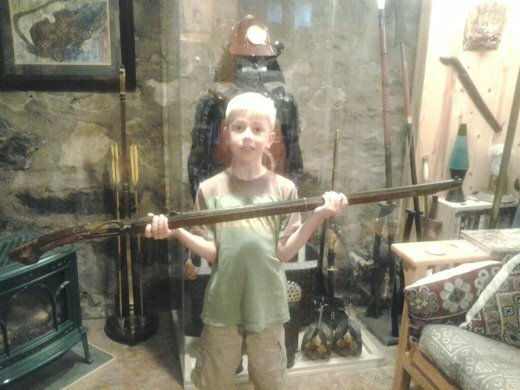 My son in the family "cave" with our latest aquisition... an early 17th century Japanese matchlock, it's a little over 53 inches, or 135 centimeters. 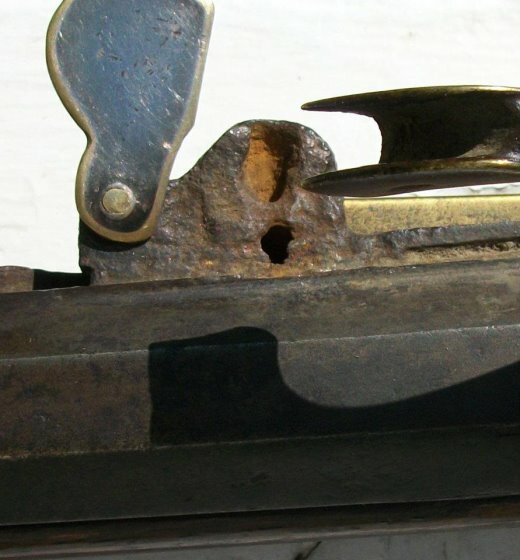 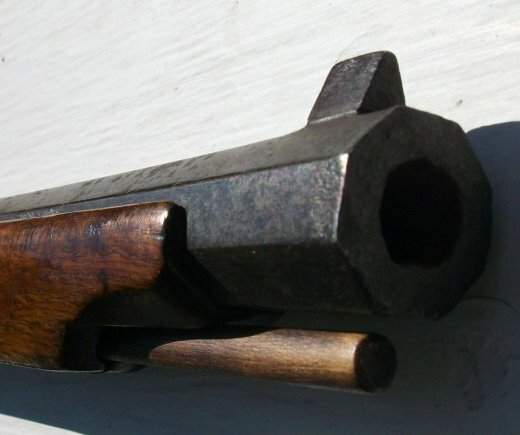 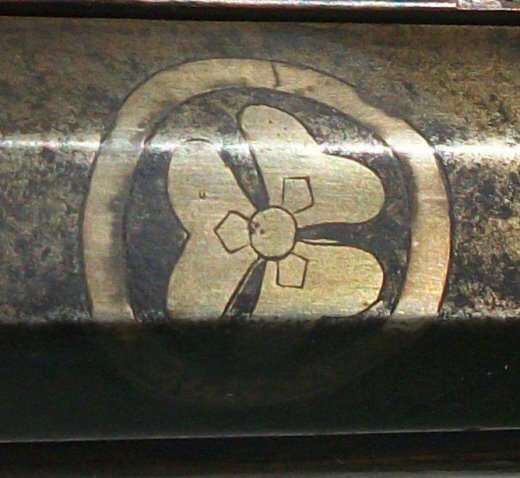 Below are top views of the barrel, showing silver/copper/gold inlay work depicting 2 squirrels on a grape vine, and the Mon (or family crest of the owner). 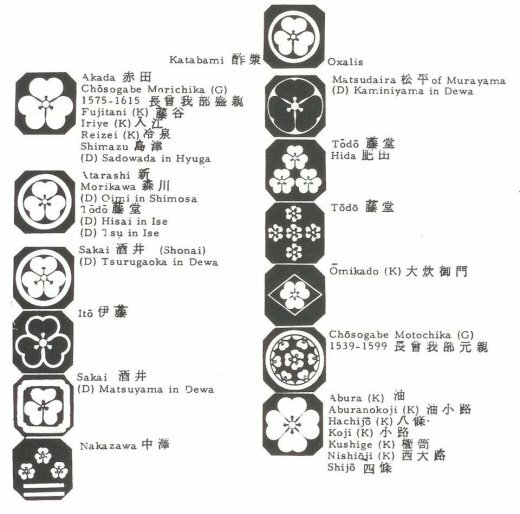 And, here is an excerpt from W. M. Hawley's book "The Mon - Japanese Family Crests", page 28, showing the family names that used variations of this crest.. 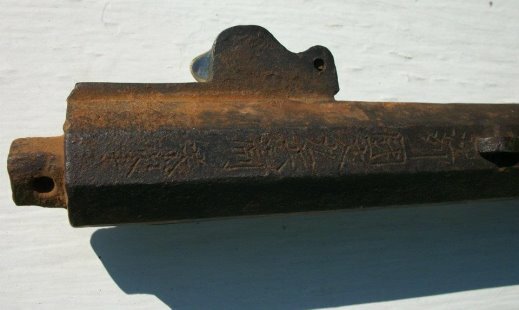 The above signature reads - 国 Country(Kuni)・時代 Era(Jidai)：近江国(Gousyu/Toutoumi)　江戸時代 (from 1603).